Landaas & Company newsletter June edition now available. 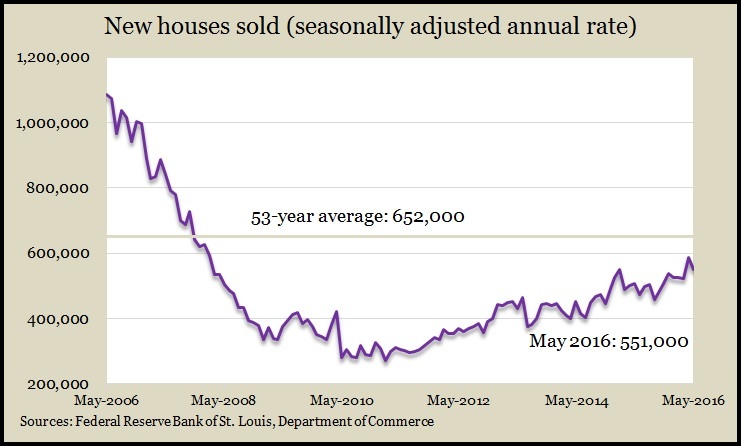 Sales of existing houses in May reached their fastest pace since before the recession. The National Association of Realtors reported an annual rate of more than 5.5 million houses sold last month, up 1.8% for the third monthly gain. Citing low mortgage rates and rising home equity values, an economist for the trade group said more homeowners have been encouraged to move, although a decline in first-time home buyers has become a concern. Rising prices have become a deterrent to new buyers. The median house price rose 4.7% from May 2015 for the 51st consecutive year-to-year increase. As further evidence of the ongoing housing recovery, new home sales in May reached the second-swiftest pace since before the recession, dipping 6% from the April rate, which was lower than initially estimated. While still trending below long-term levels, the number of new sales suggests continued moderate housing growth. The Commerce Department report showed the median price for a new house gaining 1% from May 2015 while the supply increased slightly. Employers continued to be reluctant to let workers go, as indicated in the moving four-week average for initial unemployment claims, which dropped for the fourth consecutive week, inching closer to the 42-year low set in April. According to data from the Labor Department, average claims remained 26% below the 48-year average level, which it has been below each week since early 2013. Led by automobiles, May orders for durable goods declined for the first time in three months. 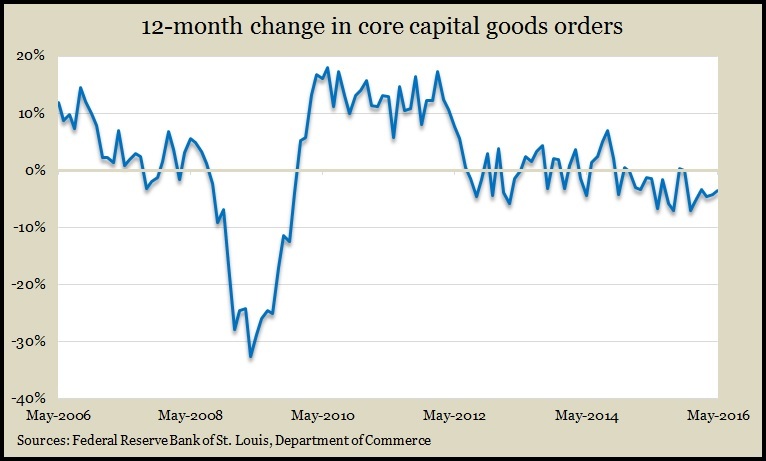 Excluding transportation equipment, orders reflected broad weakness in manufacturing demand. The Commerce Department said civilian capital goods orders minus aircraft, an indicator of business investments, fell by 3.6% from May 2015, the 17th consecutive year-to-year decrease. Lack of business investment has been cited as a factor in low productivity. Consumer sentiment overall declined slightly in June, although it continued to trend high enough to warrant forecasts of above-average consumer spending. Americans expressed greater confidence in current conditions and were slightly less optimistic about the economy’s prospects, according to the University of Michigan. Based on survey data, a Michigan economist said the U.S. economy should grow by less than 2% this year but that he expects consumer spending to advance 2.5% in 2016 and by 2.7% in 2017.